Quite possibly the greatest wine of the Languedoc. Rich Syrah with some oak on the finish after the brooding dark plum and cassis flavours have mellowed. A touch of sweet spice on the finish add to this red wine complexity. Great ageing potential. There’s just no other way to put it. Mas Jullien made by Olivier Jullien, is simply one of the best red wines of the Languedoc. 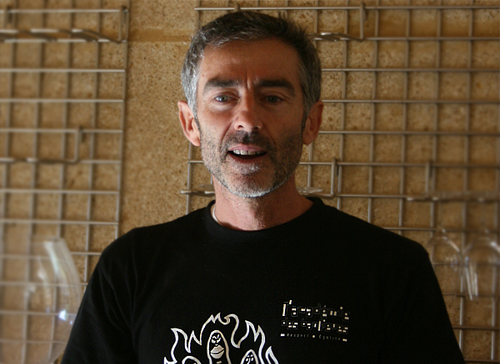 It is renowned throughout international wine circles and arguments for a cru classification developing in Languedoc often use the wines of Oliver Jullien as a supporting case. Olivier’s estate is 15ha of terraced and sloping vineyards dotted around Terasses du Larzac. This relatively new appellation (formed in 2005) features some of the highest vineyards in the Languedoc and is increasingly seen as a source of fine wines. 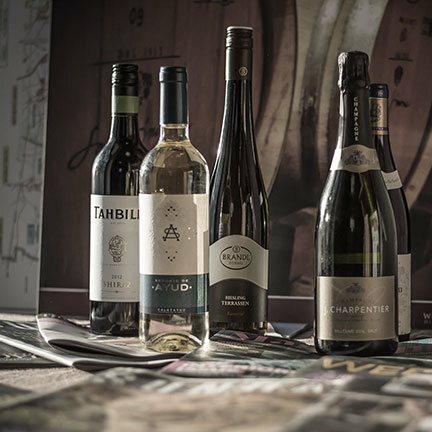 Olivier’s varietal choice is particularly suited to the terroir and microclimate that exists here between the mountains and the Mediterranean. The wide variety of grapes he grows excel on the disparate and wide-ranging soil types. The much referenced Le Revue du Vin de France ranked this vineyard as the number one of all the properties in this vast French region. But Olivier can only make so much of it each year and demand is extremely high so it’s no wonder it took us a while to get our hands on this sign-post wine. We’re delighted to be the exclusive supplier of it in Ireland. Look out for the smooth, robust fruit and that tell-tale earthy, almost farmyard aroma. A perfectly crafted wine from a maverick. "Rich, vibrant and nervy with a huge concentration of fruit. A well put together wine." "Modern style, which means it's riper and super-concentrated, but crucially it's also got balancing acid and it's not over oaked." "I was delighted to see Olivier Jullien’s wines reappear on the Irish market, as he is one of the very best producers in the Languedoc. Something of a maverick, he has experimented over the years, often changing, or dropping particular cuvées. For now, he seems to have settled on two reds, the Mas Jullien and Etats d’Ame, which gives him freedom to experiment. The wine recommended here is a classic of the Jullien style, with smooth, ripe, dark fruits, with a savoury, earthy touch and a mineral edge. It has perfectly integrated tannins, lovely balance and elegance throughout."